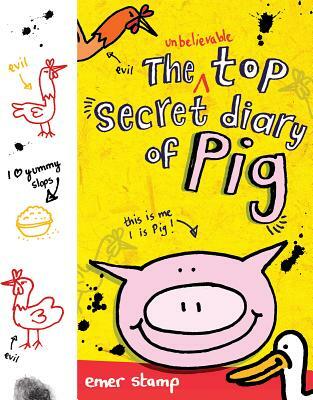 Pig has plenty to write about in his diary, his love of slops, his best friend duck and the evil chickens who live with him on the farm. Life is pretty sweet until pig works out that the farmer wants to eat him and the chickens are planning to send him to Pluto on a trocket (part tractor, part rocket). Now he has to decide which fate is worse and it's not an easy decision. This is a book that makes very little sense to adults, the grammar is deliberately bad (so that pig seems particularly stupid), there are tons of fart gags and a lot of slapstick. But I have it on the authority of two well read eight year olds that this book is really funny and who am I to argue with them? For ages 6-10.